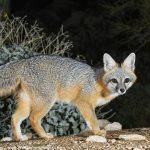 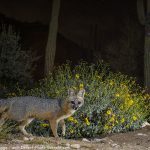 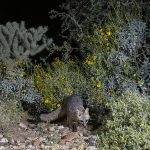 Gray fox at the waterhole in front of the upper blind, Desert Photo Retreat, Tucson, Arizona. 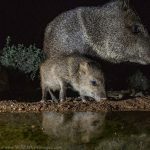 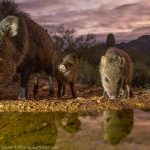 So last night I moved my camera trap setup to in front of the waterhole at my upper blind. 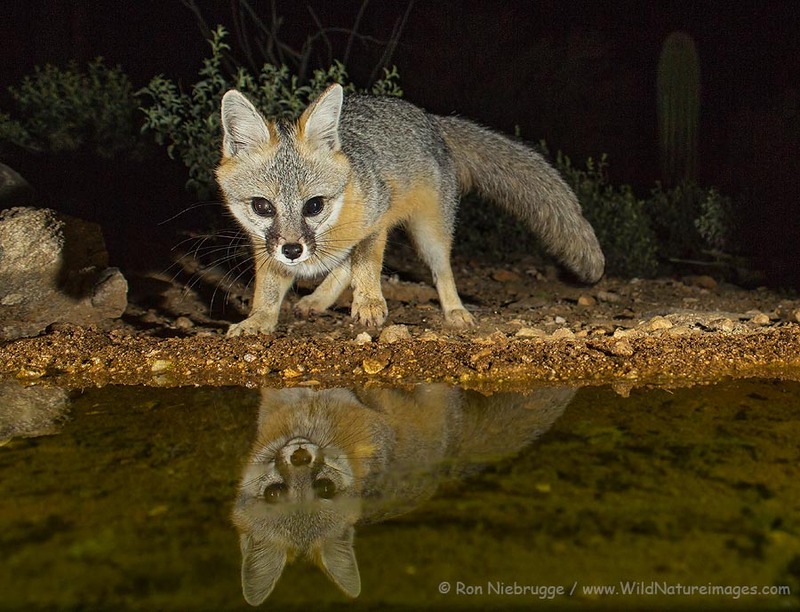 This fox was sure curious.